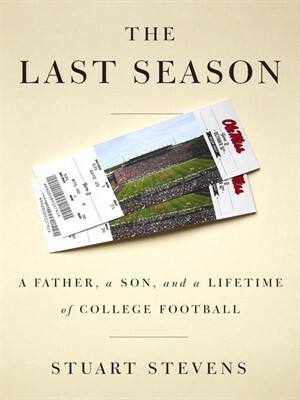 Political strategist Stuart Stevens will speak at the Clinton School this evening about his book, The Last Season: A Father, a Son and a Lifetime of College Football tonight at 6pm at the Clinton School. In the fall of 2012, after serving as the top strategist for Mitt Romney’s 2012 presidential campaign, Stuart Stevens, having turned sixty, realized that he and his ninety-five-year-old father had spent little time together for decades. His solution: a season of attending Ole Miss football games together, as they’d done when college football provided a way for his father to guide him through childhood–and to make sense of the troubled South of the time. Now, driving to and from the games, and cheering from the stands, they take stock of their lives as father and son, and as individuals, reminding themselves of their unique, complicated, precious bond. Poignant and full of heart, but also irreverent and often hilarious, “The Last Season” is a powerful story of parents and children and the importance of taking a backward glance together while you still can. Stuart is one of the nation’s most successful political strategists and media consultants. For twenty-five years, Stuart has been the lead strategist and media consultant for some of the nation’s toughest political campaigns such as Senator Portman, Senator Blunt, Governor Haley Barbour, Governor Tom Ridge and President George W. Bush in 2000 and 2004. In 2014, he was lead strategist for Senator Thad Cochran’s come from behind runoff win and led an 8 state Super PAC campaign to help secure the new Senate Majority. Beginning his political career in his native Mississippi, Stuart first worked on Thad Cochran’s campaigns and has gone on to help elect more governors and US Senators than any other current Republican media consultant. Stuart has written five books, published numerous essays and articles, written extensively for both film and television, is a former Fellow of the American Film Institute and a current weekly columnist for The Daily Beast. Dan Jones, M.D. is the Sanderson Chair in Obesity, Metabolic Diseases and Nutrition and Director of Clinical and Population Science in the Mississippi Center for Obesity Research at the University of Mississippi Medical Center. He also serves as Professor of Medicine and Physiology and Interim Chair of the Department of Medicine. He has a 23-year association with the University of Mississippi, serving in a number of capacities including vice chancellor for health affairs and dean of the school of medicine from 2003-2009, and as chancellor of the university from 2009 until September of 2015. Under his leadership as chancellor, the University of Mississippi undertook a major initiative to promote diversity across all its campuses, as well as leading the UM faculty, staff, and students to contribute thousands of volunteer hours to causes across the Oxford community, the state, and around the world. 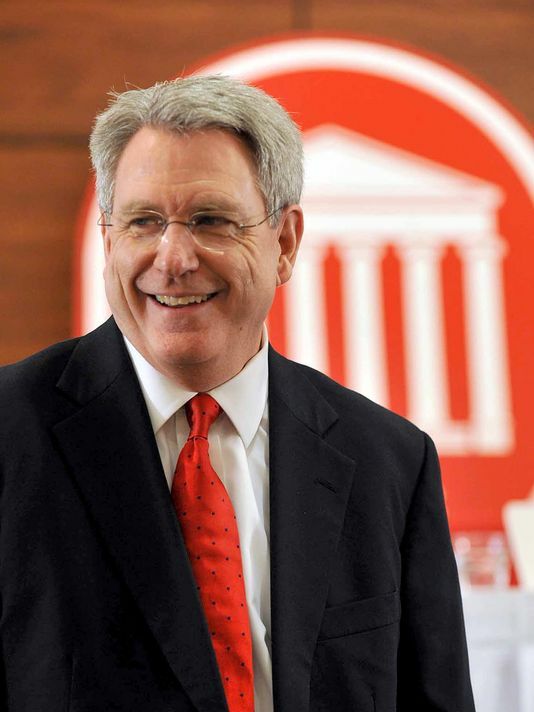 In his first speech after leaving his position as chancellor, Jones will discuss his personal journey through his association with the University of Mississippi over the last 23 years and the difficulty of playing politics for a prominent university in the south.